One of the common concerns about plastic packaging is that it is generally non-biodegradable and will persist in the environment for extremely long periods of time once thrown away. In the Pacific Ocean, for instance, there is the Great Garbage Patch, large swaths of oceans that collect debris and include millions of pieces of tiny plastic pieces that get smaller over time but don’t break down. A number of companies that use plastic packaging have looked at using additives that claim to cause normally non-biodegradable plastics to biodegrade. But are these additives effective? In our research project, published in Environmental Science & Technology last month, our objective was to provide information to help companies that make plastic products, such as trash bags and bottles, make decisions. The results of our tests, some of which ran for three years, show that the additives we tested were not effective under the conditions we used. When we say a plastic is biodegradable, we mean the plastic will totally break down at the molecular level, returning the carbon in the plastic to the earth’s natural carbon cycle. Just breaking the plastic down into small pieces that are no longer visible is not sufficient, as these small plastic fragments can cause various environmental problems when they accumulate in the environment or are consumed by fish or other organisms. Biodegradable is different from bio-based. Petroleum-based plastics can be biodegradable, just as bio-based plastics – or plastics made from starting materials that originate in living organisms – may not be biodegradable. In essence, if a plastic (or other material) is biodegradable, it can serve as a food source for microorganisms. The microorganisms typically use specific enzymes to break the molecular bonds in the material, using the resulting energy to fuel metabolic processes. The microbes incorporate the atoms in the polymers into their structure or release them in small molecules such as carbon dioxide, water and methane. The rates and pathways for biodegradation depend on the material, the surrounding environment and the microorganisms that are present and active. Two of the important environmental characteristics affecting how quickly a material biodegrades are the amount of moisture and the amount of oxygen. Microorganisms do not grow well in environments that are very dry, so adequate moisture is essential. Many types of microorganisms do best when they have lots of oxygen, but there are also categories of microorganisms that grow only in the absence of oxygen. In environments with oxygen (aerobic), the main product of biodegradation is carbon dioxide. In environments without oxygen (anaerobic), the main product is a mixture of methane and carbon dioxide. The most widely accepted way to measure biodegradation is to measure these gases. In our study, we chose additives from three different companies and evaluated their effect in three different environments for two types of plastics. One of these plastics was polyethylene, the type of plastic typically used for bread and trash bags. 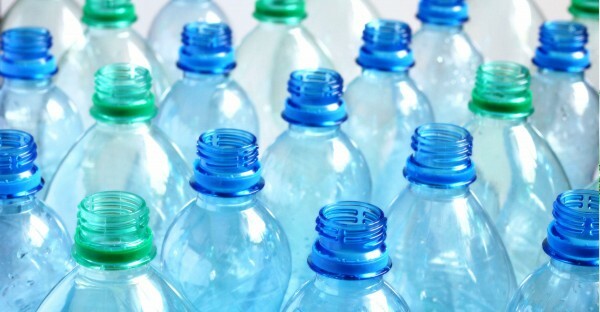 The other was polyethylene terephthalate (PET, or polyester), the type of plastic used in soft drink bottles and often in plastic containers for fresh fruit and vegetables. The dirt test: plastics trying but not succeeding in returning to the earth. One environment was a simulated composting system, representing a high-moisture, high-oxygen environment, with moderately elevated temperature to speed up the action of the microorganisms. In this system, we measured the amount of carbon dioxide produced. This experiment ran for 140 days, and then a second experiment ran for 60 days. The second environment was a laboratory anaerobic digestion system, representing a high-moisture, no-oxygen environment. This type of environment has been used to represent what might occur in an “active” landfill environment. (A typical landfill is much too dry to be as biologically active as this type of system.) We measured the total amount of gas, predominantly methane and carbon dioxide, that was produced. The experiment ran for 464 days. Our third choice of environment was soil burial. In this system, the plastic materials were carefully buried in one of the Michigan State University campus fields regularly used to grow crops. Samples were removed periodically and evaluated for any changes in appearance, strength and other characteristics. This experiment ran for three years. In all the experiments, we compared samples of the plastic with and without additives. The additives were provided to us by the suppliers in the form of master batches, just as they are supplied to customers of the companies. A polyethylene film was produced using a blown film system, and a sheet of PET plastic was produced using extrusion casting, as is typical in industry. Additionally, for one of the additives and polyethylene films, we investigated the effect of extensive exposure to UV light prior to aerobic biodegradation. The light exposure results in some oxidation of the plastic molecules, resulting in both incorporation of oxygen atoms into the molecular structure and reduction in molecular weight. The amount of UV exposure was 152 hours at a temperature of 60 degrees Celsius, which is equivalent to about 58 days of outdoor exposure in Miami, Florida, and was sufficient to make the samples extremely brittle. The results of the experiments can be summed up very simply: we found no evidence that the additives we tested resulted in any significant biodegradation of either the polyethylene film or the PET sheet in the environments we used. There were no significant differences between the samples with and without the additives, and no evidence of substantial biodegradation of any of the samples. Consumers and makers of plastic products are interested in making plastics that can biodegrade into the environment, but making unsubstantiated claims risks causing a backlash with consumers.